The World Memory Film Project, Inc. is an American NGO incorporated in the Commonwealth of Virginia. Your Video Stories Are Creating A Revolution! 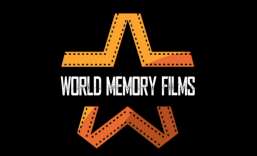 World Memory Films, led by international journalist and producer Michael Kirtley, is teaming up with the UN and other worldwide organizations to launch an unparalleled social experiment called The World Memory Film Project (WMFP). The project’s goal is to raise youth empowerment through social media and film, for the prevention of genocide. We are creating a feature length documentary of video stories by social media enthusiasts, like you, from every nation! Evelina Rutkovska (Latvia) warns of discrimination as a pathway to xenocide.